Turtle Drizzled Caramel Corn is the perfect, homemade holiday present — easy, tasty, and affordable. Simply start with our Sweet Christmas Corn recipe, add in some pecans and Rolos, then drizzle with chocolate for an even more magical popped treat. Stir together caramel, popped corn, Rolo candies, and pecans. Bake caramel corn mixture according to Sweet Christmas Corn recipe directions; cool 10 minutes. 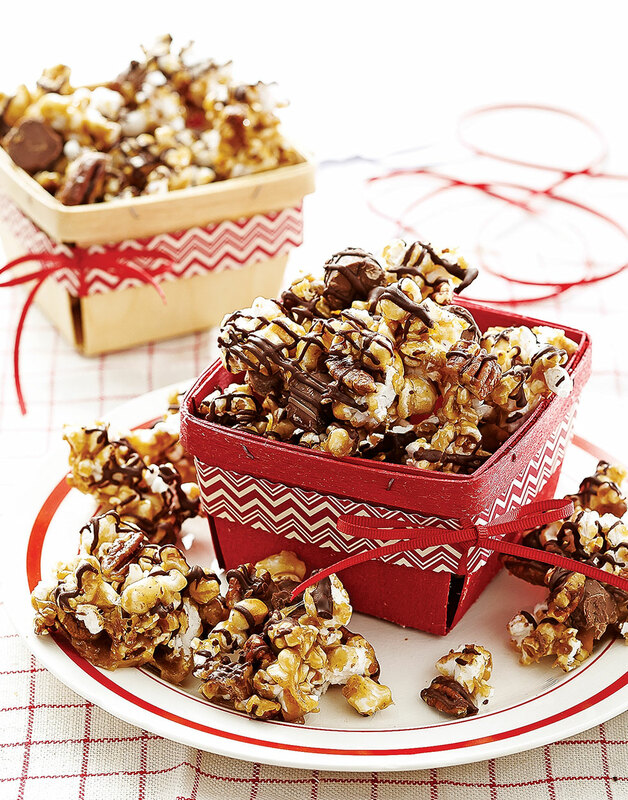 Drizzle caramel corn mixture with melted chocolate; let cool until chocolate sets. Break Turtle Drizzled Caramel Corn into pieces; store in airtight containers.